Values the section contains data items against which the Y-coordinates of data points are calculated. Arguments the section contains data items that provide values displayed along the X-axis of the chart. Series the section contains data items whose values are used to create chart series. This section describes the features available in the Chart dashboard item, and provide extensive information on how to customize charts. All buttons are displayed on the Design tab. You can rotate the Chart so that the X-axis becomes vertical, and the Y-axis becomes horizontal. Use he Rotate button in the Diagram group. The Chart dashboard item displays two axes by default: the X-axis and the Y-axis. The X-axis is the axis of arguments. The Y-axis is the numerical axis of values. Click X-Axis Settings to invoke the X-Axis Settings dialog. The setting Show X-axis allows you to hide and show the X-axis. The setting Show title allows you to hide and show the X-axis title. You can choose whether to use the default text or specify a custom string. If the dimension in the Arguments section contains numeric data, the Chart can create either a continuous X-axis or a discrete X-axis. Specify the needed type in the contaxt menu for the argument on the Data Item pane. Show grid lines Allows you to hide and show grid lines for the Y-axis. Show Y-axis Allows you to hide and show the Y-axis. Always show zero level Specifies whether or not the axis' zero level is visible. If this option is unchecked, the visible axis range is defined based on the values plotted in the chart. Show title Allows you to hide and show the Y-axis title. You can choose whether to use the default text or specify a custom string. A Legend is an element of a chart that identifies its series. You can specify whether or not a chart should display a legend. In the Designer, use the Show Legend button in the Legend group. To specify the legend’s position and orientation, select one of the predefined options from the gallery in the Design Ribbon tab. Click an options button near a required data item (or a placeholder) in the Values section. In the invoked Series Type dialog, select a required series type and click OK.
Use the Series Type gallery in the Design Ribbon tab. Dashboard allows you to use any data-aware dashboard item as a filter for the entire dashboard (Master Filter). To learn more, see the Master filtering topic that describes filtering concepts common to all dashboard items. The Chart dashboard item supports filtering by argument or series values. When filtering by arguments is enabled, an end-user can click series points to make other dashboard items display only data related to selected argument values. Click the Arguments button in the Data Ribbon tab. When filtering by series is enabled, an end-user can click a series point to make other dashboard items display only data related to the selected series. Click the Series button in the Data Ribbon tab. The built-in drill-down capability allows end-users to change the detail level of data displayed in dashboard items on the fly. To learn more, see Drill-Down. The Chart dashboard item supports drill-down on argument or series values. 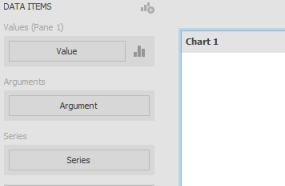 When drill-down on arguments is enabled, an end-user can click a series point to view a detail chart for the corresponding argument value. Drill-down on arguments requires that the Arguments section contains several data items, from the least detailed to the most detailed item. Click Arguments in the Data Ribbon tab. When drill-down on series is enabled, an end-user can click a series point (or corresponding legend item) to view a detail chart for the corresponding series. Drill-down on series requires that the Series section contains several data items, from the least detailed to the most detailed item. Click Series in the Data Ribbon tab. Chart - InLoox • Copyright 1999-2019 © InLoox, Inc. All rights reserved.